If you haven’t been hiding under a rock for the last couple days (or if you just aren’t into kids movies) then you should be fully aware that Toy Story 4 is coming out on June 21st of this year. Pixar released the first official trailer for the new movie earlier this week, which caused millions of people, including myself, to be filled with childhood nostalgia. If you haven’t watched the trailer yet, click here. After watching the trailer, I was pumped to go see the movie in theaters, which led me down a google rabbit hole filled with random facts about the previous Toy Story movies. After hours of reading, I compiled this short list of unknown facts that any fellow Toy Story fanatic is sure to enjoy. 1. Originally, Woody wasn’t a cowboy. It’s hard to imagine Woody as anything but a cowboy, but in early drafts of the movie Woody was supposed to be a ventriloquist dummy. Thankfully, an executive at Disney realized that most people attach ventriloquist dummies to horror films and suggested changing the character to something cuter and more fitting for a kid’s film. Disney executives looking at the first draft of the movie. 2. Buzz Lightyear almost had a different voice. Anybody who has watched a Toy Story movie knows Buzz Lightyear’s classic line “To infinity and beyond!”, but imagine if instead of being voiced by Tim Allen, the character was voiced by comedian Billy Crystal. That’s right, the actor/ comedian, who later went to voice Mike Wazowski in Monster’s Inc., turned down the role and in a later interview with ABC Network said it was “the only regret I had in the business of something I passed on”. Just imagine how different it would have sounded. 3. An innocent mistake almost caused Toy Story 2 to be completely deleted. A year before the sequel was set to come out, a random computer command caused 90% of the animation work to be deleted. This was a big scare for the team working on the film, but thankfully the technical director, Galyn Susman, had made a copy of the movie to work on at home, and it saved the project. The animation crew before Galyn Susman stepped in. 4. The team that worked on Toy Story 3 was really dedicated. In order to get a “clean start” on the 3rd movie, several members of the crew decided to shave their heads. I don’t know about you, but I have never been so invested in something that I would shave my hair off. I guess maybe I should start doing things like that because if it helped them make a great 3rd Toy Story movie that made over 1 billion dollars at the box office, then it could probably help me do normal day-to-day things. I mean, hair always grows back. 5. Disney-Pixar got sued after Toy Story 3. Diece-Lisa Industries sued Disney over the antagonist of the movie being a bear named “Lotso”. This is because the company had been making “Lots of Hugs” bears for 15 years before the movie came out, and they claimed that the use of “Lotso” as an evil character had negatively impacted their sales due to the character’s similarity to their product. 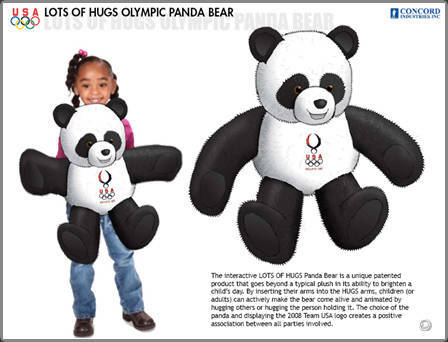 An example of one of the “Lots of Hugs” bears from Diece-Lisa Industries. “Lotso” from Toy Story 3. I hope you enjoyed these facts and don’t forget to clear your schedule on June 21st to watch Toy Story 4 in theaters! Wow! I never knew this stuff, it’s really nice to learn new things! This are some really good facts. I think that the fact that woody was supposed to be a dummy is crazy and it would also have been scary for me since I hate dummy’s but thank god it didn’t, it would have ruined my childhood. I did not know any of this, I can’t wait to go see this movie either!! I’ve never heard any of these facts before, and i’m so happy that part 4 is coming out!